I’m doing my best to help my children–and the kids I influence each week–to remember that today is not a holiday because it’s “The Fourth of July.” We don’t celebrate Christmas because it’s “The Twenty-Fifth of December” or Thanksgiving because it’s “The 4th Thursday of November.” Those holidays are rightly called by their true names, even though they are celebrated the same time each year. Today, the United States celebrates its 235th birthday. It’s not “The Fourth of July,” although that is the date today. We can, and will keep it, if we remember to stand for the principles our founding fathers stood for, to stay strong to the ideals of “life and liberty” and the fact that we are all “endowed by our Creator with certain unalienable rights.” Life, liberty, and the pursuit of happiness are rights granted to us by God. But what we do with those rights is up to us. What we do to preserve and protect the foundations of this great nation is ours to decide. On Independence Day 2011, what will you do to ensure the true nature of this great day is not forgotten? Will you watch Schoolhouse Rock‘s “America Rock” and sing along with it? Will you watch The Patriot and be inspired by a fictionalized account of one family’s path through the Revolution and the price they paid? Maybe you’ll enjoy Walt Disney’s Johnny Tremaine or the mini-series The Swamp Fox. Maybe you’ll listen to inspiring music that reminds you of the greatness of our country. Need some ideas? This Land is Your Land by The New Christy Minstrels (from an old record collection my parents bought for the bicentennial in 1976). It’s more than a date. It’s one of the greatest days in history, and I hope you and your family take a moment to pause and enjoy it. 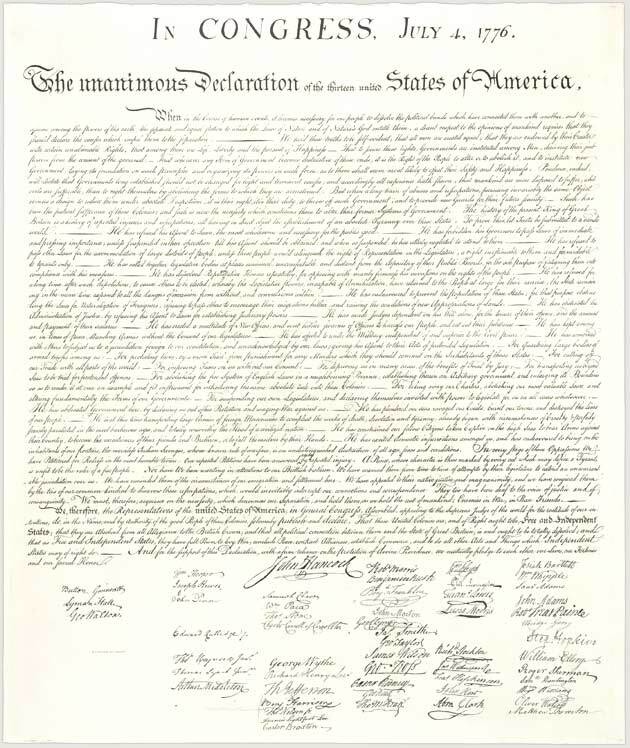 While you barbecue or watch fireworks, remember the words of one of the greatest documents ever written–written in response to the birth of liberty here in the United States. ← It’s a Big Deal.